Iris inconspicua Vved. 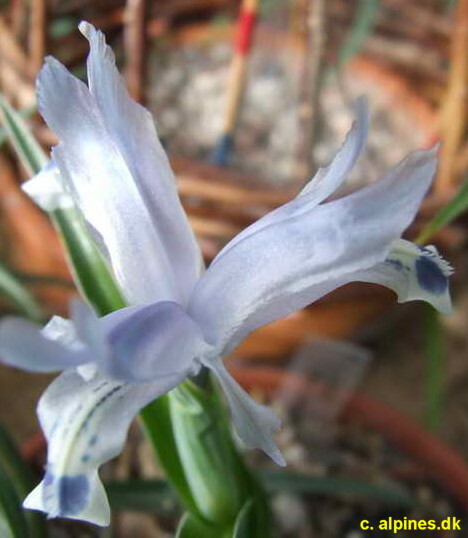 (Aleksei E. Vvedensky, 1971, West Tian Shan mountains); Subgenus Scorpiris (Juno); Height 2" (5 cm); 1-3 pale violet flowers; falls spotted dull green, white dissected crests. Iris inconspicua (Vved.) T.Hall & Seisums, Bot. J. Linn. Soc. 167: 300 (2011).